What about anger management tutorial? Humans have the power to express their feelings depending upon their mood swings where as animals cannot. Their feelings expel out in the form of Anger, fear, cry, emotions etc depending upon their circumstances in which he/she may live. In today’s world human’s life has become stressful due to their busy life. They have become working machines in order to meet their advances in day-to-day life. In certain situations man often shows his frustrations in the form of anger. This tutorial will give you a clear picture about Anger Management and certain techniques used in reducing anger. Anger management is the set of practices that helps in assisting Temper Control. 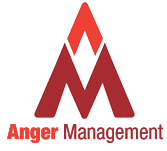 The main purpose of anger management is to improve skills to overcome anger successfully. Anger Management drives the causes behind the anger and make them analyze it and address it. This tutorial is for those students and professionals who seek help in overcoming their frustration and anger with exhaustive academic workload and highly competitive environment respectively. Before going through this tutorial, the students and professionals need to have a peaceful mindset and should be openminded to explore the suggestions or ideas given here.